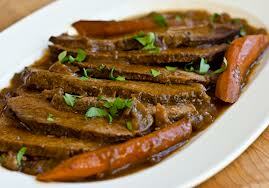 Beef brisket braised with garlic, onions, baby carrots, sweet potatoes and prunes. 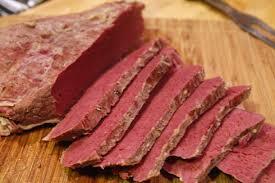 Beef brisket seasoned with subtle spices, honey and braised with garlic, onions, carrots and celery, sweet potatoes. 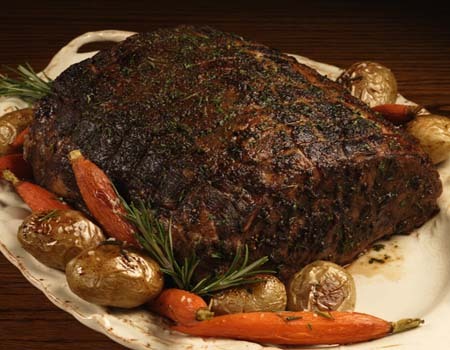 Whole roasted prime rib of beef subtly seasoned; served with our homemade natural au jus (light thin gravy). Authentic Churrasco style. Grilled London Broil marinated in a citrus vinaigrette. Served with our homemade chimichurri . California style; Grilled London Broil marinated in Balsamic Vinaigrette. Drizzled with our balsamic syrup . Montreal style; pan-seared London Broil seasoned with olive oil, garlic and Montreal spice rub. 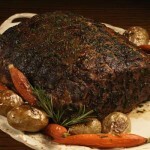 Whole chuck eye of beef, subtly seasoned low cooked in a Dutch oven. Served with our homemade gravy. 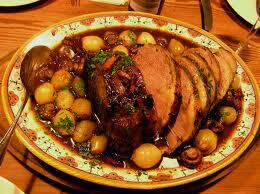 Classic dish of chuck eye braised in Burgundy wine with garlic, aromatics, pearl onions and wild mushrooms.